What does this particular mask represent. I have an identical mask with one notable exception, the eyebrows. The images in the mask I have are male on the right side, female on the left. 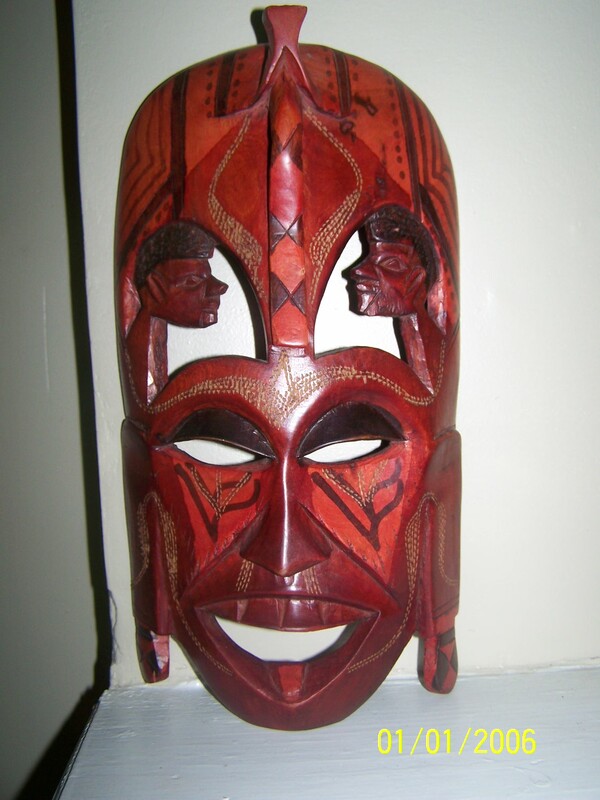 This is a truly tourist-style mask, made quickly in almost a mass-production manner, and made to be sold to non-Africans who want an “African mask” or “African carving” to put on their wall. At a store near me, this is the type of mask they throw in as a bonus if you spend a hundred dollars. Please show some better quality masks. Thank you. My friend. If you are referring to the Massai mask featured on theblastmuseum.com .Your opinion is wrong about it and all of the African art featured on the blastmuseum.com. You are right in the fact that, there are many reproductions sold in gift shops and novelty stores. Some of my African art does appear to be so, trust me all of my collection is authentic. I have a M.A in Museum Studies and my area of concentration was African art. I’ve had the opportunity to study many extensive African art collections. But your input was taken into consideration by the BLAST Museum Investigators and we’ll have something for you soon. I am currently away from my collection causing post delays. But, remember to visit us again soon.